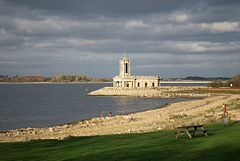 Anglers recorded a fantastic rod average of 5.8 at Rutland Water this week. The fishery is in excellent form with anglers taking full advantage of the early season buzzer hatches. Best Brown of the week fell to Simon Ashton who weighed in a 6lb 6oz specimen from the South Arm, this was followed by long time season ticket holder Mike Barrat who netted a 5lb 11oz fish from the North Arm. The best Rainbow of the week weighed in at 3lb 11oz and fell to D Smith from Glinton. Some of our younger anglers made the most of the Easter school holidays and locals Liam and Callum Naylor of Uppingham had a great day’s sport managing seven fish between them, including two over 3lb and the other five over 2lb. The brothers were obviously taught well by their Dad, Ady, who is a regular at Rutland. Most of the week saw warm, settled conditions with light winds. If the winds hadn’t veered to a strong west/south westerly at the weekend (curtailing all boat action mid afternoon on Sunday), then the rod average could have been even better than 5.8. During the main part of the week anglers caught from many areas from the bottom of both arms and the main basin for boat anglers whilst the bank anglers had great sport on the Dam, Old Hall, Sykes Lane and Normanton. Many anglers fished floating lines either ‘straight lining’ (long leaders with teams of nymphs) or ‘under the bung’ (using a bite indicator) both methods caught plenty of fish including over wintered Rainbows and some excellent Browns. Lures also worked for a number of people, mainly small boobies, cormorants, blobs etc, some fished with a lure/nymph combination. Fish have been feeding well and other than buzzers, daphnia, shrimp, corixa and fry have also shown up in stomach contents. Not many have shown on the surface at the moment but this could change if we have a serious fall of Hawthorn flies soon. At this time of year there are some great competitions to put in your diary. The Tuesday Night Boat League commences on 12 May and will run all the way through to mid August, and as usual, is open to all. The Bob Church Classic is a highly regarded match of long standing. This year it takes place on Wednesday 6 May with around 60 boats and 120 anglers out on the water. There will be a practice day on 5 May. Best methods Bank – Floating line with nymphs. Boat – As for bank but include midge tips and various sinking lines with assorted nymph/lure combinations. Best Rainbow 3lb 12oz taken by D Smith of Glinton. Best Brown 6lb 6oz taken by Simon Ashton. Best boat areas The Main Basin (Sykes Lane, Normanton), East Creek, Old Hall, Bottom of North Arm, Cardiac Hill/Barnsdale. Best bank areas Sykes Lane, The Dam, Normanton, Old Hall. Mid week boat winner Chris Orders of Peterborough. Beginners courses 18 & 25 April; 2,9,23 & 30 May and other dates throughout the season. Tuesday Night boat league commences 12 May. 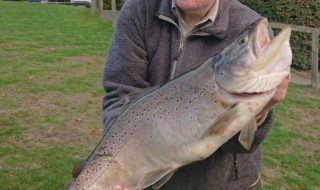 Grafham Water has continued to fish well for both bank and boat anglers with an excellent rod average of 4.48 with 23% of all the trout taken weighing 3lb or over. Boat anglers have also had a great week’s sport with the North shore again giving the most consistent catch rates. 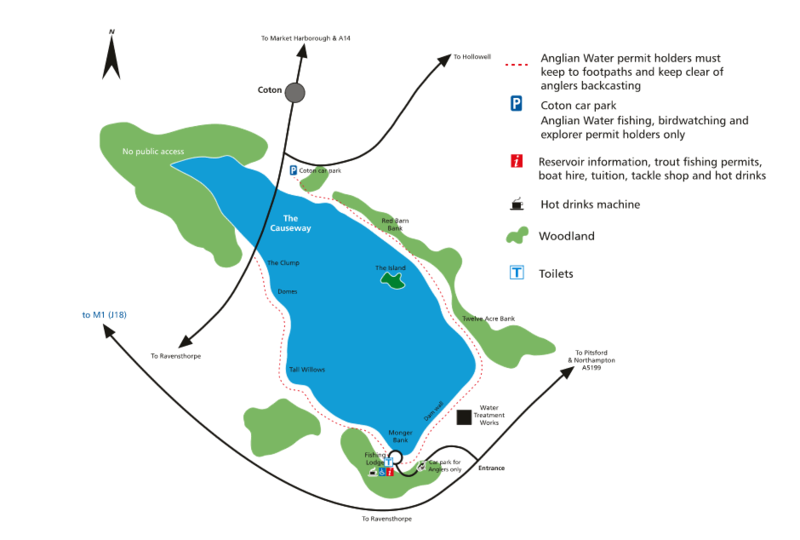 The main areas for the boat anglers have been North Dam, Willows, G Buoy, Deep Water Point, Hedge End, Pig Bay, Hill Farm and the Stumps. The best methods for boat anglers have been to fish medium, fast sink lines with black and green lures and boobies, Diawl Bachs, GRHE, orange or Tequila Blobs and Cats Whiskers fished slowly along the bottom. However, when there has been some cloud cover the boat anglers have been catching on floating lines with black or green buzzers. Five boat pairs fished the first rudder match of the season, catching 78 trout for a tremendous rod average of 7.8. The most prolific method of the day was to fish Di5 lines with gold and silver tubes from The Stumps to Hedge End. The heaviest individual bag of the day was caught by Martin Hearth who took 8 trout for 24lb 15oz, with his best fish weighing 4lb 8oz. The heaviest trout of the day was a superb over wintered Rainbow of 5lb which was caught by Steve Crowder. Brown trout are back in season (one Brown per bag). Please be aware of the bio security measures on the reservoir. Best Rainbow 5lb taken by Steve Crowder. Best Brown 3lb 12oz taken by Mr Cooper. Best boat areas G Buoy, Pig Bay, Hill Farm, Willows, Marlow Bay, North Dam, Deep Water Point, Stumps, Hedge End. Best bank areas North Dam, G Buoy, Deep Water Point, Willows, Pig Bay, Hill Farm, Gaynes Cove, Seat. Mid Week Boat Winner Dayood Sheik. Beginners courses 16 & 26 April; 3,17,24 & 28 May and other dates throughout the season. Bob Church Open (Frank Cutler Memorial Trophy) 18 April. EYFA Youth National 24 May. Pitsford Water has seen some huge buzzer hatches this week and buzzer tactics are accounting for some excellent bags of fish. Whether fishing with buzzers under an indicator or straight line nymphing, black buzzers are taking fish about 6 feet down. When conditions have got tough sinking lines have still worked with orange or cat boobies working. The rod average for the week has been a healthy 3.9 with a season average of 4.2. Fishery Ranger Mitch Brown caught and released over 30 fish on buzzer tactics from Stilton Point. Season ticket holder Richard Williams again had a boatful on Sunday morning. On Sunday Grafham Water Fly Fishers held a bank match. Despite awful conditions with gusting strong winds anglers caught on various methods. Kieran Bonas was top rod with eight fish caught on a Di7 and Cat Booby. Graham Bodsworth came second with 6 fish. He fished a floating line and buzzers. Mark Searle took third place with three fish. Best Rainbow 4lb 10oz taken by A Simpson of Milton Keynes. Best Brown 5lb taken by Gavin Frield of Hannington. Best boat areas Bog Bay, Stonebarn Bay, Gravels, Duffers, Stilton Point, Gorse and Cliffs. Best bank areas Northfields Shore, Stonebarn Bay, Gravels, Duffers, Stilton Point Gorse and Cliffs. Mid week boat winner Brian Morris of Bulkington, Bedworth. 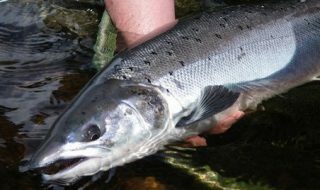 Second Saturday of each month Pitsford will be offering fly tying tuition, casting coaching and general fishing advice. Beginners courses 24 April; 7,10,16 & 29 May and other dates throughout the season. Anglian Water Rudder Match 23 May. Anglers have enjoyed another fantastic week at Ravensthorpe with a rod average of 9.3 and this season’s big fish record has been broken again. There have been plenty of monster Rainbows putting in an appearance, but the biggest came to Alan Duffin. Alan fished a size 12 buzzer from the Dam and picked up a giant 14lb 15oz Rainbow – the best of the season to date. The fish was weighed by Simon Farmer (Ranger) and returned safely to the water. Alan had nine Rainbows in total on Tuesday including one of 5lb 2oz. Alan couldn’t resist the temptation to come back to Ravensthorpe on Thursday – this time he landed 12 fish all on the buzzer with the best weighing in at 9lb 8oz. John Juckes enjoyed a memorable day on Wednesday, taking 10 fish with a 10lb 5oz fish the best of the session. Big fish angler Kevin Daykin managed another whopper on Saturday, catching and releasing an 8lb 14oz Rainbow from the bank. Ravensthorpe is in really good form at the moment so please remember to book a boat before you travel to avoid disappointment. The buzzer fishing has been phenomenal with the most successful anglers using a team of three black or olive buzzers on a 15 foot leader and a floating or sink tip line. Another method that scored well for some was a blob set up on a Di3. Pat Flynn used this technique very effectively netting over 50 fish. Mid Northants Trout Fishers had an enjoyable outing this Sunday with a great turn out fishing the Hector Woolnough Trophy. Best Rainbow 14lb 15oz taken by Alan Duffin. Best boat areas Coton End, Tall Willows, Mongers. Best bank areas Platforms 3-8, Dam. Mid week boat winner Julian Hopkins.